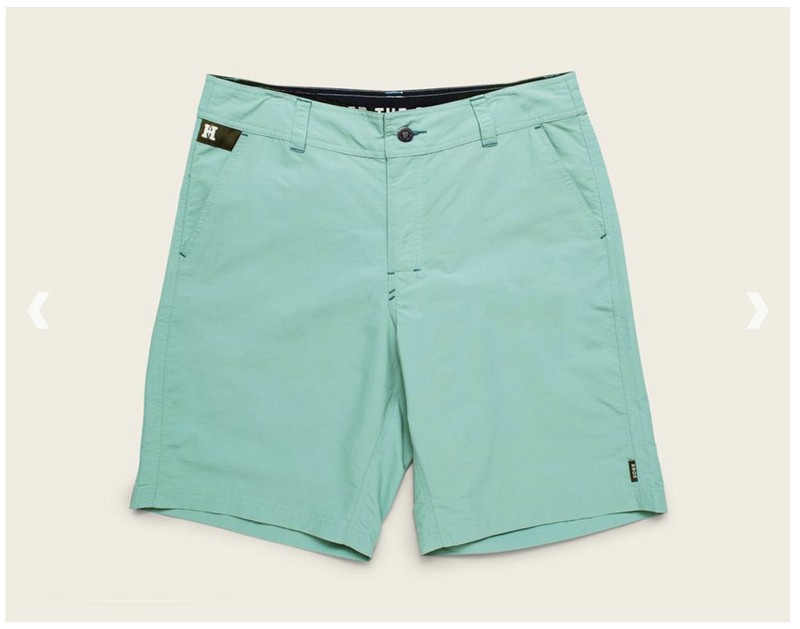 Howler Brothers Horizon Hybrid Shorts. Quick Drying and good looking. In 2019 the Horizon Hybrid gets an update in name and design. 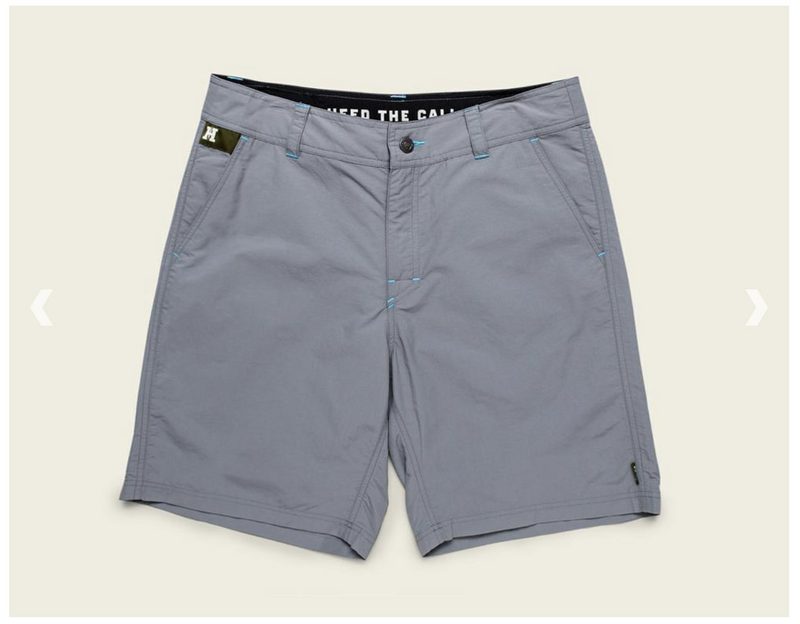 The Horizon Hybrid 2.0 uses the same fabric but gets an updated fit, zippered rear pocket and drawstring waist cord. 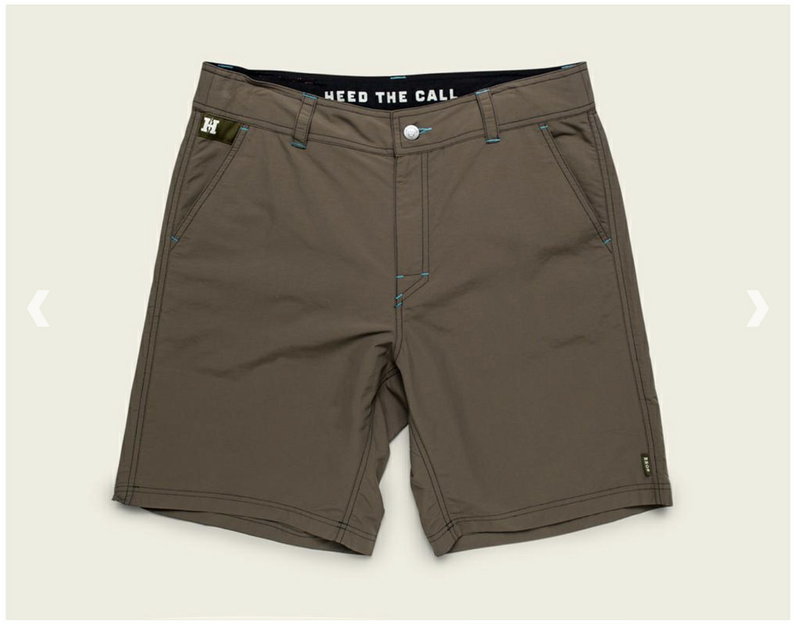 The Horizon Hybrid short was developed with amphibious activities in mind. 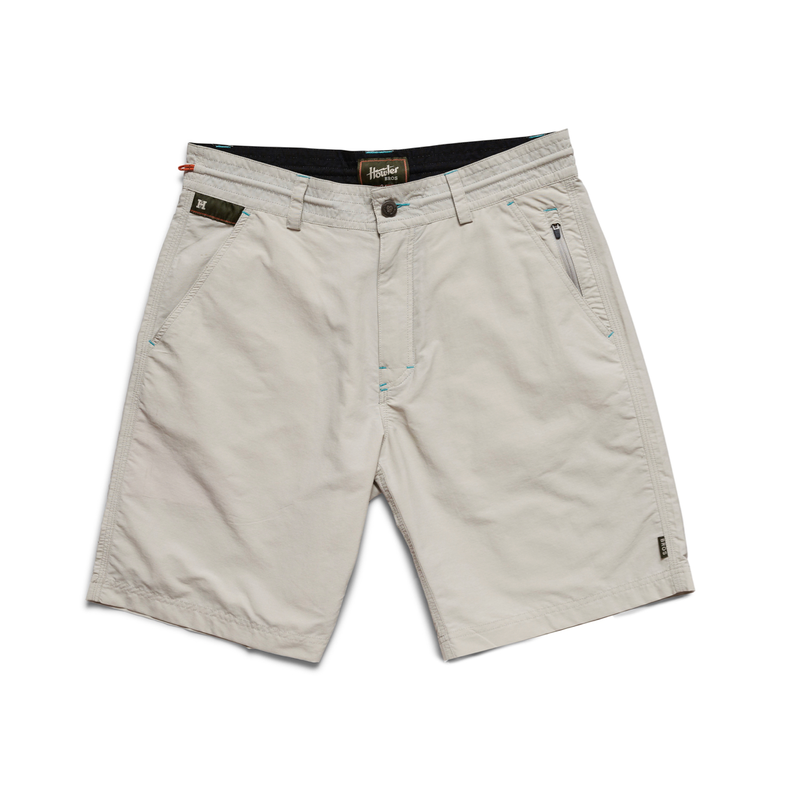 They are super tough shorts, yard work, fishing, boating or dripping BBQ sauce on them they perform and wash fantastically. 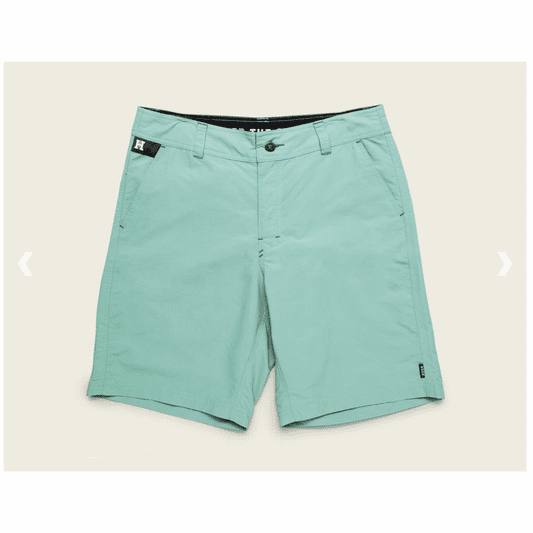 Rip stop nylon that is quick drying can even make these an impromptu to swim short. 9-10 inch inseam depending upon waist size 33 has a 9.5 If you like them a bit bigger on the waist order up as these are very true to waist size meaning a bit snug. Button closure with zipper fly, zipper stash pocket back right, streamline front pockets and belt loops that will fit most any belt.